In the region you can find accommodations wherever you want of all styles from campings to hostels, bed & breakfast, appartments to luxury hotels depending on your desires and the amount of money in your wallet. Not to forget: wild camping is strictly prohibited! But no worries, the prices in the low season are very reasonable comparing to the western parts of Europe. 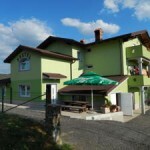 Hostel Ociski raj is located in the heart of climbing areas. From hostel to Črni Kal is only 7km, 11 km away are world-famous Mišja peč and Osp. Also climbing areas like Risnik (Divača) and Val Rosandra (Italy) are really close. 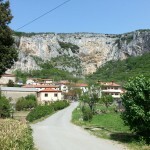 In the vicinity of the hostel there are many walking paths, as well many opportunities for cycling and other trips. 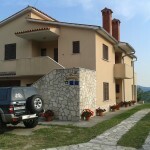 Hostel offers you accommodation in private rooms and in dorms with shared kitchen and bathrooms. Peacefully set in historic little village of Roč, under the famous climbing area Kompanj, Apartments Dolores enjoy a green surrounding and offer fully equipped modern apartments with kitchen and terrace, as well as free WIFI and private parking. You can choose between a big apartment for 4-5 persons or a small one for 2.